November is budget time for some of us. There are many things to consider when adding janitorial costs to that spreadsheet. There are a million janitorial companies here in the greater Austin Area. Let’s face it, start-up costs are not overwhelming for this line of business. If you open up your bidding process for any and all comers you will find a wide range of prices. Larger nationwide companies like Jani-King will be toward the top of your range. There is value in having a large company rather than a small, mom and pop. Smaller operations do not always have the resources to fulfill contractual obligations. Usually their bench isn’t very deep. If they are really small you may experience lapses in service due to illness, injury, or family emergency. This is something you cannot afford. Jani-King has over 100 franchise owners in the Austin area. We can always find someone to get the job done. The lowest bid may also mean that the company is hiring illegally or they just don’t understand what it takes to maintain your facility. We service a wide variety of facilities from offices to schools to hospitals. We will offer fair pricing and a solid service structure to ensure we can fulfill our contractual obligations. Jani-King offers very clear upfront pricing. Our sales team walks each account and takes time to review your needs and customize a bid specifically for you. Then we draw up a contract that reflects your needs and those of your facility. It lists a detailed cleaning scope as well as prices for extra services that can be added if you have room in your budget. There are no add-ons performed without your explicit request and approval. We will not give you a broad quote over the phone. This personal touch can really allow you to hone your scope of work so that we focus on the most needed items and save you money on wasted labor hours. If we find that the strategy we came up with does not suit your needs we are always willing to sit down with you and work on any fine tuning that my need to occur. 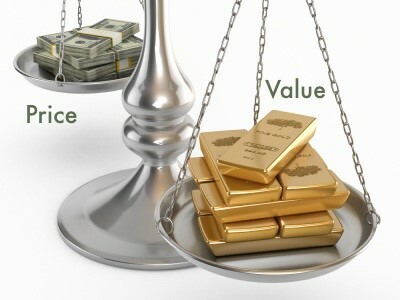 You will find that cheaper bids do not offer nearly the value. There is value in peace of mind. If you have no shows or you get poor service you will be wasting your valuable time chasing down your janitorial service to correct issues. If you go with Jani-King you know exactly what we are responsible for and you will have access to 24 hour customer service that can assist with any issues that may arise. We have operations managers as well as franchise owners that can visit your facility and aide in resolving any shortfalls effectively and efficiently. With experience, customized pricing, a deep bench, and ample customer service Jani-King offers the best value for your budget. Here at Jani King of Austin we pride ourselves on customer service. We have received Peak Performance awards in our operations department for 3 years running from our Corporate Headquarters. We have been a member of the Better Business Bureau since 1985 with an A+ rating. The thing that sets us apart from other commercial cleaning services are the layers of follow up we have in place. We start this even before the contract is executed. Our sales department will not give quotes over the phone. We only quote what we can look at. We like to talk to every client, after visiting their facility, before placing a bid, to see exactly what they want. We want them to get exactly what they need and not a generic cleaning scope based on arbitrary formulas. We make suggestions on what we think would help them to obtain their desired result from our services. After we receive an executed contract an operations manager walks the account with one of our franchise owners to ensure they understand the expectations, have an opportunity to gain some familiarity, and also ask any questions that may arise. 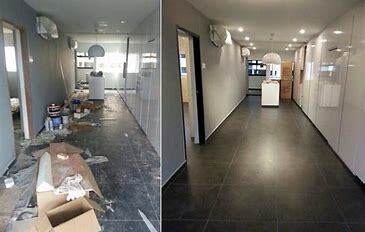 We ask our franchise owners to be onsite with their employees for the first few cleans of each new account so that they can help them overcome any challenges that may arise. Every account presents its own set of challenges. Some are big and some are small, but they can all be conquered if teamwork is involved. After the first clean the customer service is 2 fold. The franchise owner follows up along with the members of our operations team here at the regional office. We call the next business day after the first clean to make sure everything has exceeded expectations. 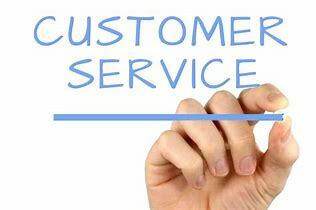 If not we will monitor the account closely making service changes until the client is extremely happy with our service. Moving forward the regional office will in either by phone or in person with each of our accounts about every 6 weeks. The franchise owners check in periodically as well. We have excellent systems in place to facilitate timely follow up so we can do our very best to proactively eliminate issues before they become problems. We will react quickly to any issue that are brought to our attention. We are happy to address any client requests. We strive to exceed expectations. The competition is real, but Jani-King is the King of Clean. Come experience what it’s like to be a part of the world’s largest commercial cleaning franchise company. With more than 120 support offices in 10 countries, Jani-King delivers a superior commercial cleaning program to a wide range of customer locations including office buildings, hospitals, hotels, sporting venues, universities, restaurants, manufacturing facilities and more. There is no substitute for hard work. You have to put in the time. Dedicate yourself to the goal. I [Thurman Thomas] didn't make it to the Hall of Fame on my own. I had a team and we worked hard together. I had coaches and a playbook with the answers. It's no different in business. Now I own a Jani-King franchise because they've got the winning playbook and a team that supports them. Get in the game and get ready to shine. Go to www.jkaustin.us/janitorial-austin-franchise-opportunties.html to get started today! Your building is central to your success. 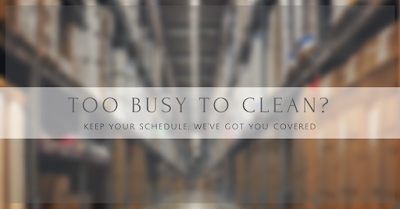 Jani-King doesn't just keep your building clean, we're part of your business team. It's why so many customers place their trust in us. We have been in business since 1969, and we have customers of all types and sizes from all around the world. What I love most about Jani-King that everyone works hard to earn and keep your trust. With over 1350 customers in the Austin area, Jani-King has been ranked the #1 commercial cleaning Austin has to offer - for over two years now. Our owner/operators are fully-trained, fully-insured, and fully accountable to performance standards. We can schedule all kinds of buildings and businesses - including office cleaning, medical facilities, schools, churches, restaurants, hotels. 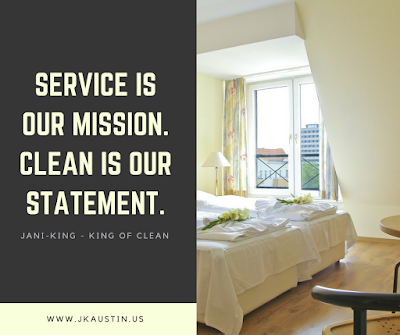 Who better to partner with than our Jani-King Austin team - the Global Leader in the ever-growing commercial cleaning industry?